We’d love your help. Let us know what’s wrong with this preview of San Francisco by Greg Gaar. To ask other readers questions about San Francisco, please sign up. Reading this book was like pulling a well-loved but worn teddy out of the chest. I recalled hiking the city's hills, creeks and dunes in the fifties, flying kites up on Bernal Heights and sliding down Twin Peaks on cardboard. ...and thought about what's been lost. If that was the sum, it would be an interesting read. Gaar and Miller took it beyond a catalog of losses to present successes and achievable steps for preservation and restoration. The city has taken a beating, being filled, leveled, dr Reading this book was like pulling a well-loved but worn teddy out of the chest. I recalled hiking the city's hills, creeks and dunes in the fifties, flying kites up on Bernal Heights and sliding down Twin Peaks on cardboard. ...and thought about what's been lost. If that was the sum, it would be an interesting read. 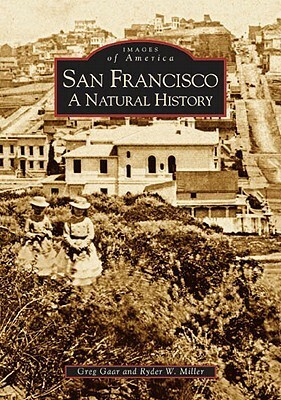 San Francisco's natural landscape, its flora, fauna, and landscape, were completely different than they are today. Just a few decades after Europeans settled here The City took on an entirely new face, and it is extremely interesting to read about what SF used to look like. Highly recommended.